I was introduced to West End as a young child in the late 1940's. On humid New Orleans Summer evenings in the late 1940s and early 50s, my parents and I would make weekly trips, on Sunday and Wednesday nights, to West End Park to watch the water show at the West End Fountain. I can remember vividly walking to the edge of the water filled basin with my father and watching the crew of electricians from the City who operated the show, by hand, from a tiny machine room located under the main structure from which the plumes of colored water emerged. I remember driving out along Lake Shore Drive and seeing the familiar 7-Up sign at the approach to the old steel and concrete draw bridge that spanned the New Basin Canal, leading into West End. 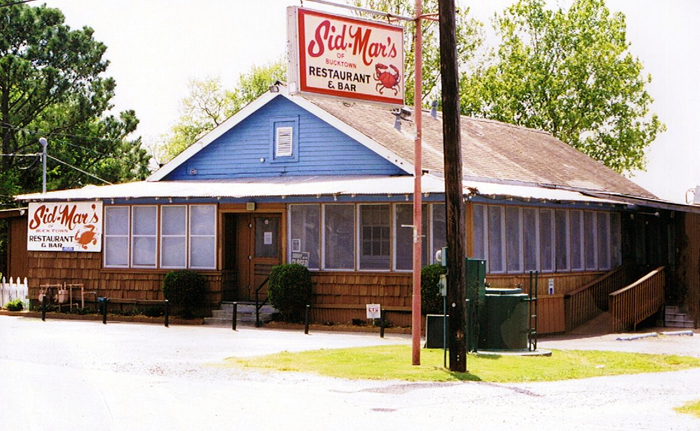 I also remember my first taste of soft-shell crabs on Po-boy sandwiches from Maggie and Smitty's road side restaurant at the back of the park. I still recall the sound of the rigging on the boats in the harbor, striking the masts, as the cool winds blew across Lake Pontchartrain. 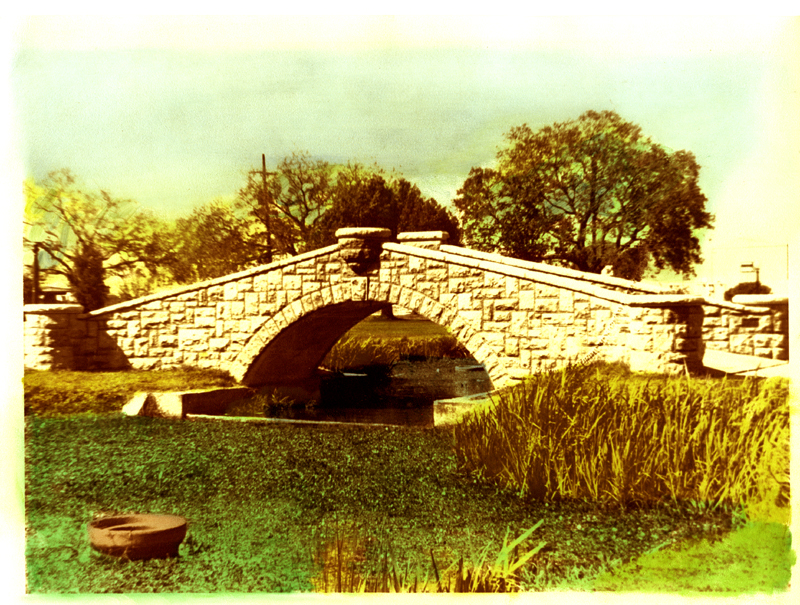 Often, after watching the fountain's show, my father would drive out along the New Basin's levee along the dirt road that was West End Boulevard, and we would stop at the ice cream shop on City Park Avenue at the foot of another ancient bridge that extended City Park Avenue into Metaire Road. Years later, I spent many relaxing evenings fishing off of the breakwater that protected the harbor entrance on what we called "The Point." I also fondly recall Friday night dinners with my mother, and later with my wife, at places like Fitzgerald's and Bruning's Dishes such as fried oysters, crayfish, and boiled blue-claw crabs, and good old Jax beer, could never be beat. Yes, West End was a magical place for a child growing up on New Orleans's lakefront in the 1950s and 60s. In the 1960s I learned to sail at a business called Walet's Yacht Sales on the New Basin Canal. After purchasing my own boat, I spent countless hours on the lake at West End. Many changes occurred at West End over the years, but when Katrina struck, and I realized that the West End I knew and loved was gone forever, I decided to assemble this web site with old photographs that I had taken over the years. For those of you who share my memories of this unique part of New Orleans culture, I hope that you enjoy this little walk down memory lane. The early New Orleans lakeshore resort area known today as WEST END, dates back to 1835 when it was first founded as "New Lake End." In 1880, the name was changed to West End. Prior to the reclamation of the shore of Lake Pontchartrain at New Orleans by the WPA, the Orleans Parish shore of the lake was mostly swampy land, dotted with several resort communities that were mainly built over water. Spanish Fort, Milneburg and West End were the most notable. In the 1860's a boardwalk had been constructed over the swampy area of the lake at the extreme West of Orleans Parish, in a spot bordering Jefferson Parish. The U.S. Lighthouse Service had constructed a lighthouse at the mouth of what had become the entrance to the "New Canal." A previous canal existed in New Orleans called the "Basin" or the Carondelet Canal. It was from this waterway that Basin Street, the street immortalized in the familiar Spencer Williams' tune "Basin Street Blues," got its name. 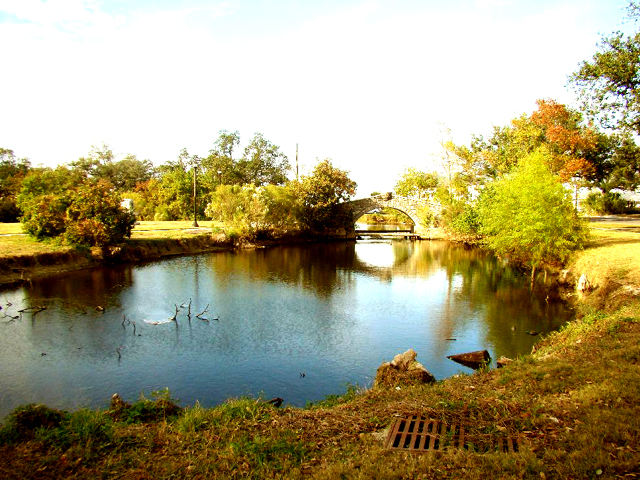 The Basin tied in with Bayou St. John, and ran from Lake Pontchartrain, up along the path that is now St. Louis Street, to the area where Orleans Avenue and Claiborne Avenue meet. For many years, the old Basin had no levees or flood control, and when the lake tides would rise, entire sections of the French Quarter would flood badly. This contributed to health problems that plagued the early settlement, and it made future use of much of the land questionable. By the early 1800s, the need for a new, better designed canal had been identified. A company known as the New Orleans Canal And Banking Company was formed in 1831, for the purpose of obtaining the necessary right-of-way, and for seeing to the construction of the actual canal. The new canal would serve as a passage for barges carrying shells and other building products, lumber, cotton, and other commodities into the heart of New Orleans business and manufacturing area. 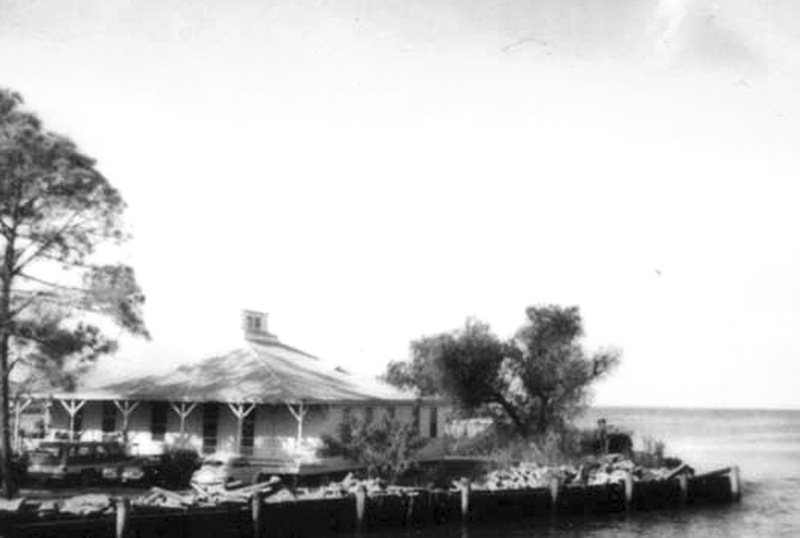 The planners identified the ideal inlet to the canal as being a slip off of the City's western most end at Lake Pontchartrain, just at the point where New Orleans met Jefferson Parish. At the time, there was a great influx of Irish immigrants entering New Orleans, mainly due to the "Great Potato Famine" that had devastated Ireland in the early part of the 1800's. The Irish settlers had found refuge in the area of New Orleans now known as the "Irish Channel," and they were mostly destitute and willing to accept any work that came along. The owners of the newly formed canal company recognized that the Irish were a source of cheap labor, and under virtually "Slave" conditions, thousands of Irishmen were put to work on the project through most of the 1830s. Given the sub-human conditions, hundreds of workers were lost mainly due to disease such as Yellow Fever and Typhoid. There was also little attention paid to safety, and many workers were lost as the result of accidents during construction. Today, the plight of the New Basin Canal workers has finally been acknowledged, and a monument has been constructed along the former path of the canal, acknowledging the contributions made by an estimated 30,000 workers. The new canal, and the activity it spawned, was partially responsible for the early development of St. Tammany Parish. 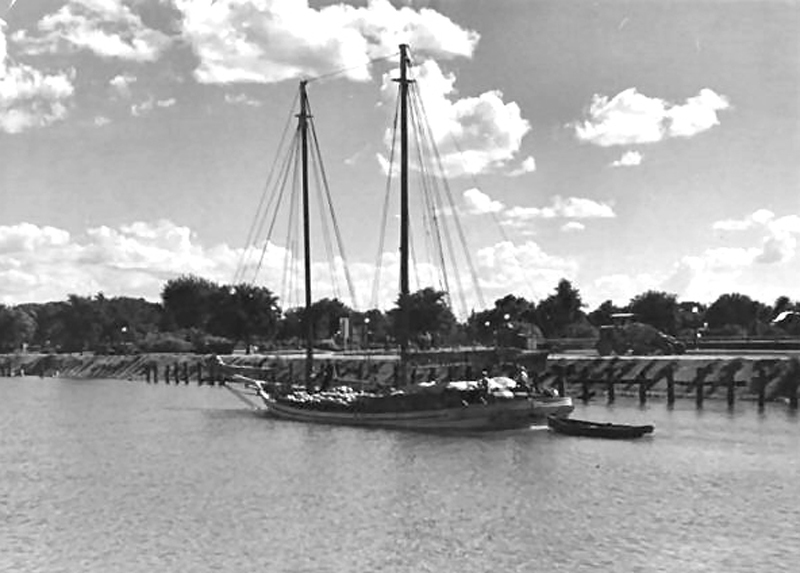 Shortly after the canal opened to water traffic, a system of steam ferrys was established to provide transportation to the towns of Mandeville and Madisonville on the North Shore of the lake. The project had been started by Bernard De Marigny, a plantation owner and one of the city's early businessmen, and the service operated into the 1930s when the first automotive highway bridges to Slidell were constructed first by the Watts and Williams Company, and then by the State of Louisiana under the administration of Governor Huey P. Long. In years prior to the construction of the New Basin, timber and other resources were brought into the city by way of Bayou St. John. There were also a great deal of valuable bald cypress trees existing in the swampy areas close to the New Orleans lake shore in what is now Lakeview. The New Basin provided a way in which those trees could be harvested and exported. 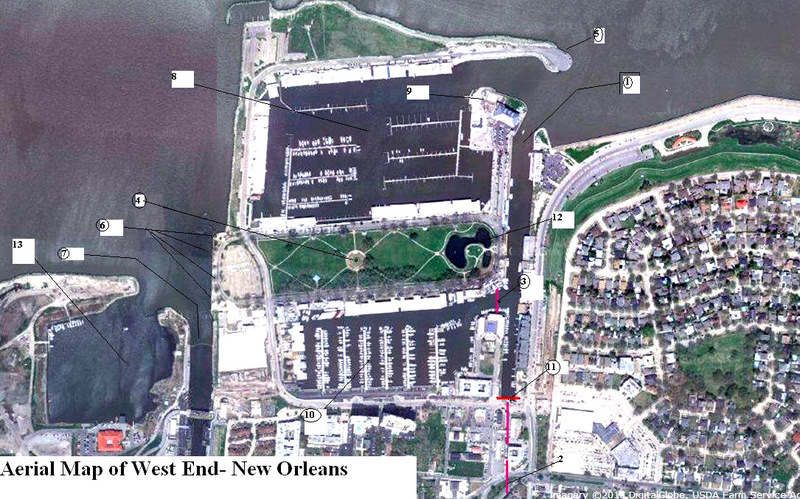 The port of West End was identified as the ideal place for the new canal to open into the lake, and the area had already seen some primitive development from the presence of Marigny's ferry operation. 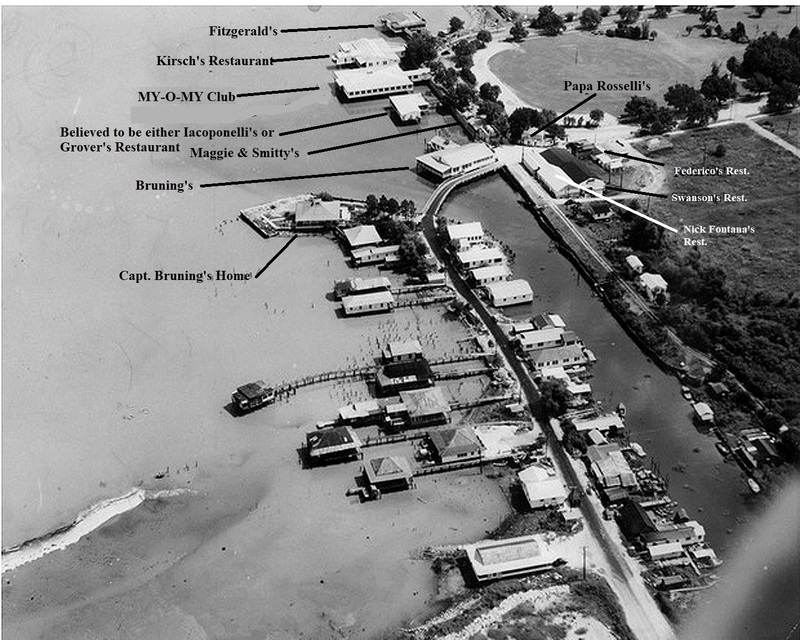 As the canal was completed, and boat traffic began to flow, a resort community grew around the West End port. Before long, it was made further accessible by way of a Street railway line that was extended out from Canal Street, and later by car travel on roads that were constructed along the canal banks. 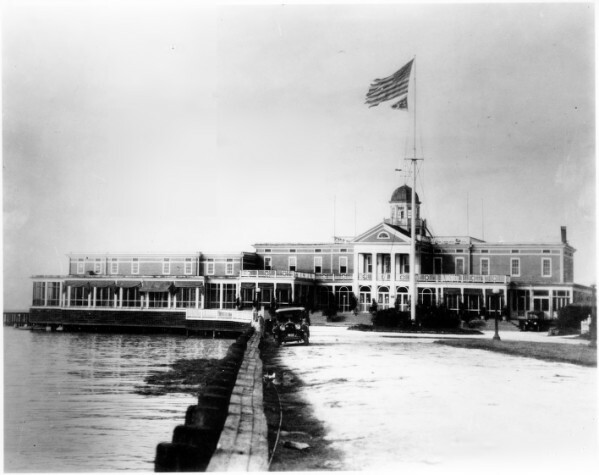 By the 1890s a bustling marine resort existed, complete with a board walk, a hotel, and several food service establishments. Interestingly, in what can be seen as a parallel to today's shopping malls and resort areas, motion pictures and musical entertainment were also introduced by way of open-air silent movie shows and concerts. Throughout the last century, and even into the 1920s when seawalls, boat harbors, and a park were built, the resort community thrived. 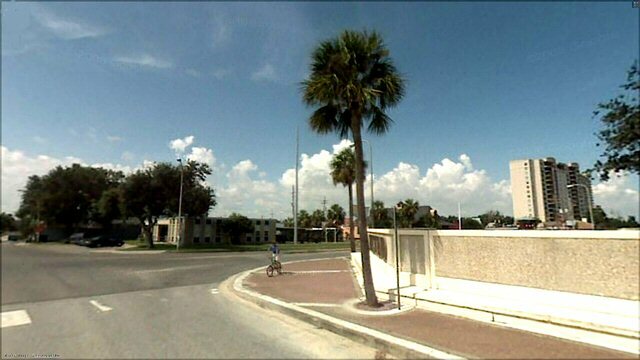 In the early 1920s, following heavy damage to theWest End resort by the Great Hurricane of 1915, the City undertook the filling in of much of the area with sand to create parks and roads that were able to be built on dry land. In the 1930s several additional miles of lakefront land were reclaimed by a WPA/Orleans Levee Board reclamation project that produced what is now the seawall that runs the length of the Orleans Parish lakeshore from West End to the Industrial Canal. Throughout the years, West End remained a center of commerce serving both the yacht and private boating interests. By the 1940s, it had also become home to some of New Orleans finest and most notable food service establishments. The marine and restaurant trade thrived for over a Century, despite the Great Depression, two major wars, and the occasional hurricanes that struck the area. It was not until Hurricane Katrina that the restaurant trade was almost completely eradicated. Katrina also took her toll on the yachting industry at West End as well. Many boats were destroyed, the Southern Yacht Club burned to the ground, and many of the marine service facilities were put out of business due to the extensive damage caused by the wind and flooding. Although the area has seen some slow recovery over a period of almost ten years since Katrina struck, the original ambience of West End is lost to all except for the declining generation who still remembers her in her heyday. Realizing that the West End I grew up with will have been lost to future generations, I have assembled this web site as a tribute to those who made this area of New Orleans lakefront a place where many of us were fortunate enough to acquire some wonderful memories of picnics, dining on Louisiana's finest seafood, and yachting. 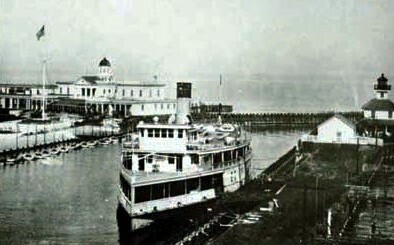 The ferry New Camillia, which ran from Madisonville to New Orleans, docked along the eastern bank of the New Basin Canal circa 1920. Until the early 1950s, access to West End was by way of a bridge that spanned the New Basin Canal. 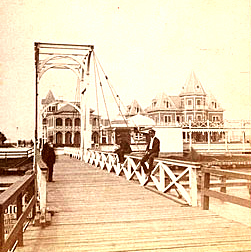 When the 1890s resort community was built, a hand-operated swivel bridge joined the boardwalk area with land at what is now West End Boulevard and Lakeshore Drive. In 1921 a project by the City of New Orleans filled much of the over-water park area with sand, thereby allowing West End to become a land based park. 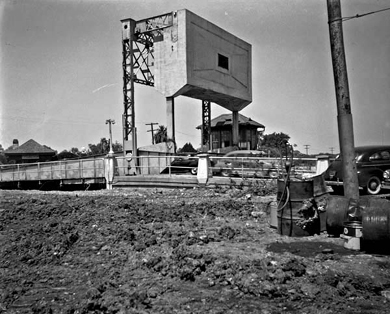 Later, The Orleans Levee Board, with assistance from the Works Progress Administration, reclaimed much of New Orleans' present day Lakefront through the use of dredges what pumped sand from the lake bottom behind a concrete bulkhead. This massive undertaking extending the shore of Lake Pontchartrain almost a mile out into the lake. The newly constructed seawall stretched the entire length of New Orleans beginning at West End and ending at the Seabrook crossing of the Industrial Canal. By creating a land based park and recreation area at the site of the former over-water resort, construction of permanent docks, boat houses, and marine and food service facilities began to develop in the area. At that time, the old wooden draw bridge, that had provided access to the boardwalk community, was replaced with a full-scale electric draw bridge. This new access span allowed widening of the canal to permit greater access to boat traffic, as well as permitting automobiles to drive into the area of West End Park. 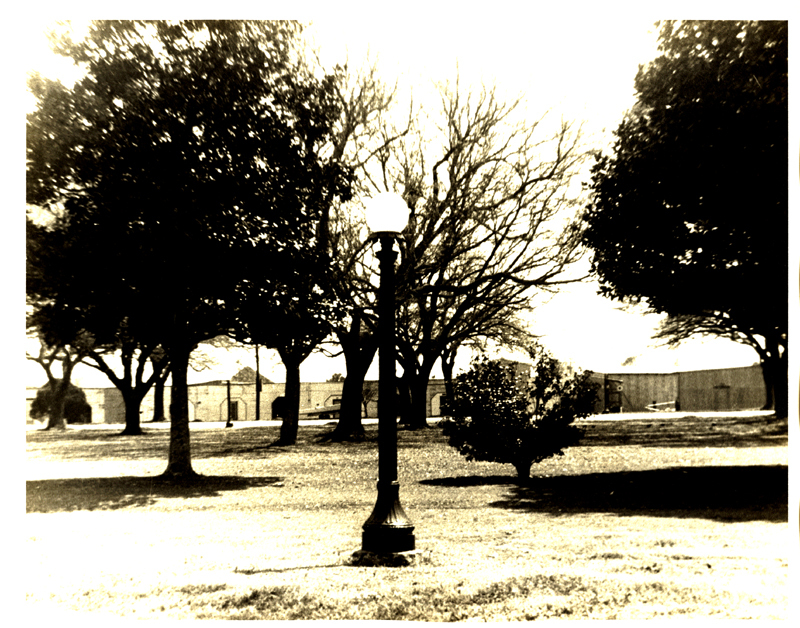 In the same era surrounding the 1921 Park construction, the City contracted with the St. Louis Fountain Company to provide a technologically sophisticated (for the period) massive fountain which featured changing light and water patterns that could be adjusted from a remote operator's hut. The new fountain was featured in weekly concerts in the park. The water and lights were given the illusion of "dancing" to the music of live musicians who performed beside the fountain's basin. Often, these shows featured the New Orleans Police Department Band, military bands, or jazz ensembles from the area. Outdoor motion picture shows were also presented in the park until the time when the introduction of talking pictures made the outdoor theatre concept no longer feasible. 1. The entrance to the New Basin Canal from Lake Pontchartrain. 2. The path followed by the canal into the heart of New Orleans. The canal was closed to this point in the early 1950s. It followed the path of the present Pontchartrain Expressway into town, ending at Julia and Howard Avenue near the old Jahncke Materials plant. 3. This was the location of the second of two identical draw bridges built in 1921. This bridge spanned the entrance to the yacht harbor. It was removed in the mid-1940s when increased boat traffic in the harbor rendered it a nuisance because of the repeated need to open the bridge to permit water traffic to pass into the harbor. A photo of the piers of the bridge, after the draw was removed, is shown below. 4. The West End Fountain positioned in the center of West End Park. 5. The breakwater. Originally this was just a bulkhead that was not accessible to cars. 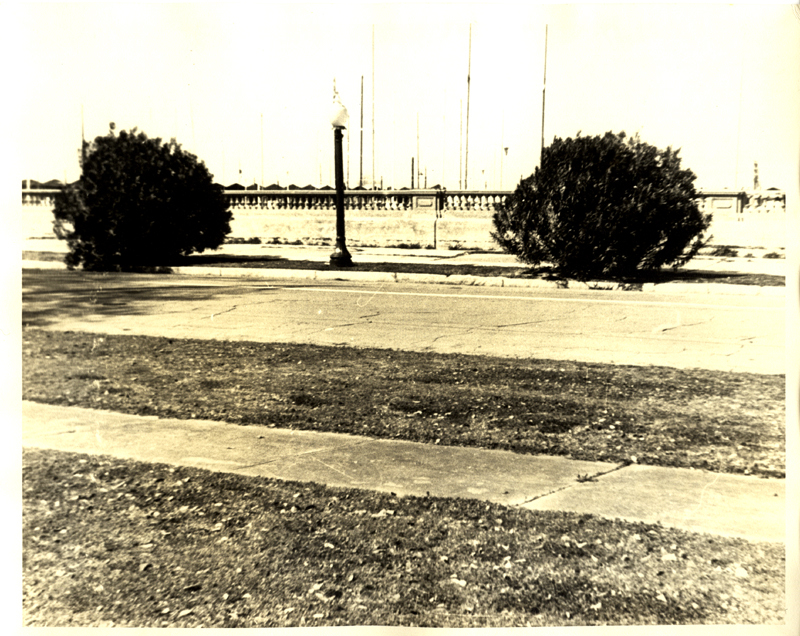 In the 1950s a road was extended out to the end of the breakwater, which was known to New Orleanians as "the Point." The roadway was given the name Breakwater Drive. 6. The location of many of the original seafood restaurants, which were constructed on pilings over lake water. Over the years, these included such noted establishments as Maggie & Smitty's, Bruning's, Papa Rosselli's, Fitzgerald's, Kirsch's, Swanson's, Federico's and the original My-O-My, a club which featured female impersonators as entertainers. The restaurants were technically located in Jefferson Parish, so although they were accessible by land only from Orleans Parish, they were actually under law enforcement and taxing authority of Jefferson Parish. 7. The entrance to the 17th. Street Outfall Canal. The canal was part of the New Orleans Sewerage and Water Board drainage system, but it also formed the divide between Orleans and Jefferson Parishes. Land to the West of the canal, near the West End portion of New Orleans, was known as "Bucktown, " a village mostly inhabited by fishermen who fished the lake commercially. 8. The public yacht basin. 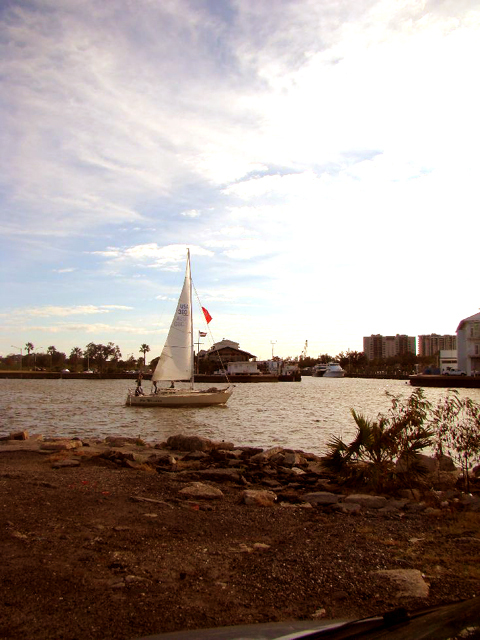 The area to the front of this basin was exclusively for the use of the Southern Yacht Club, while the area toward the Jefferson Parish line was available for lease by the general public. 9. The location of the Southern Yacht Club, second oldest yacht club in the United States. The first club house was built on this location in 1879. It was replaced with a new grand building in 1899. In 1920 the structure was renovated and enlarged. By 1949, the old building had deteriorated from age and from the great hurricane of 1947. It was again replaced by the third new building in the history of the prestigious organization. The 1949 building served as the club's headquarters until the time of Hurricane Katrina when it was destroyed by a fire that, left unchecked, burned for days. The Southern Yacht Club is now working to construct their fourth club house. 10. 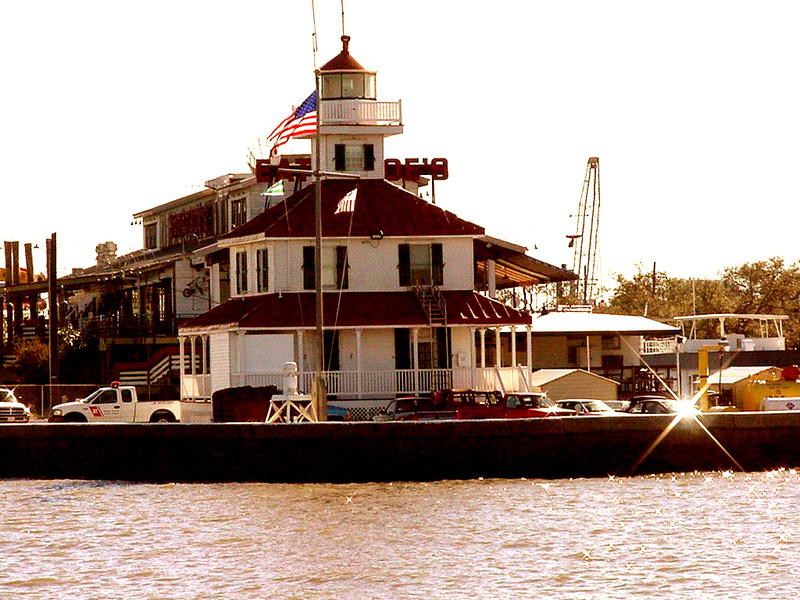 The Orleans Marina operated under the auspices of the Orleans Levee Board and the State of Louisiana. 11. The site of the first electric draw bridge accessing West End (shown in the photo below). This bridge was the only access to West End for the first half of the Twentieth-Century. 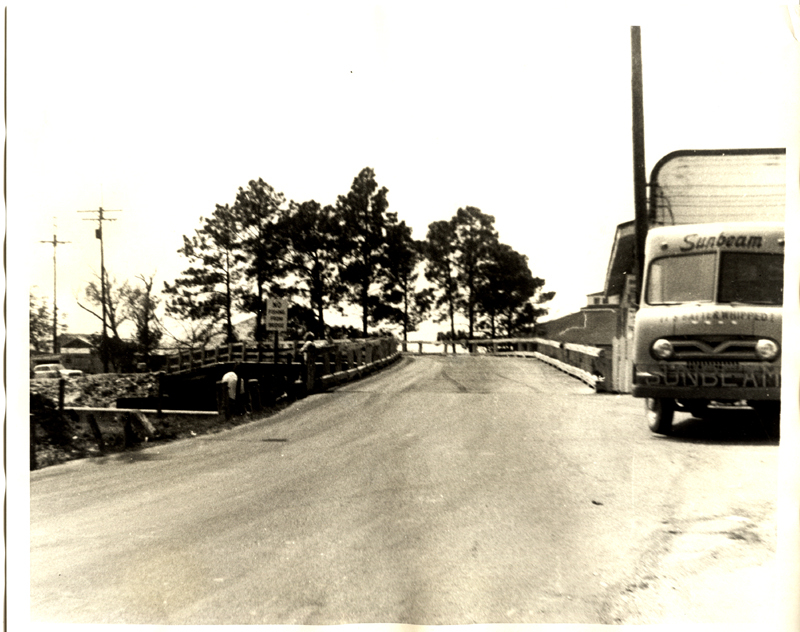 The bridge tied West End Boulevard / Lakeshore Drive to the West side of the New Basin Canal at what is now Lake Marina Avenue. 12. Magnolia GrandiFlora Grove and the West End Park lagoon and bridge which were constructed by the Works Progress Administration during the Great Depression. 13. The present site of the proposed Bucktown Marina. This area was part of Lake Pontchartrian until a breakwater was constructed in the late 1990s. The land along this part of the lakeshore came to be known as "Bucktown." 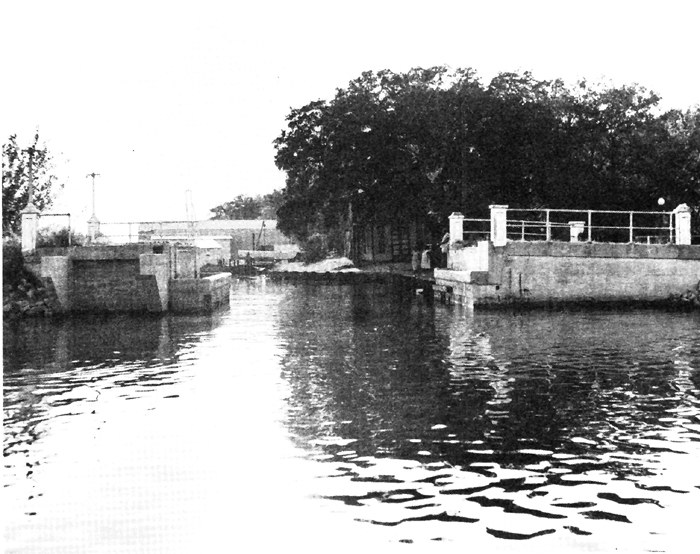 An electric draw bridge, identical to the bridge at the entrance to West End and the one at the Metairie Road New Basin Canal Crossing, spanned the channel which lead into the yacht basin that later became the New Orleans Marina. That bridge was removed during World War II both because it had become a nuisance to vehicle traffic in the area, and also in an effort to recover the unneeded steel structure for use in scrap steel war drive. 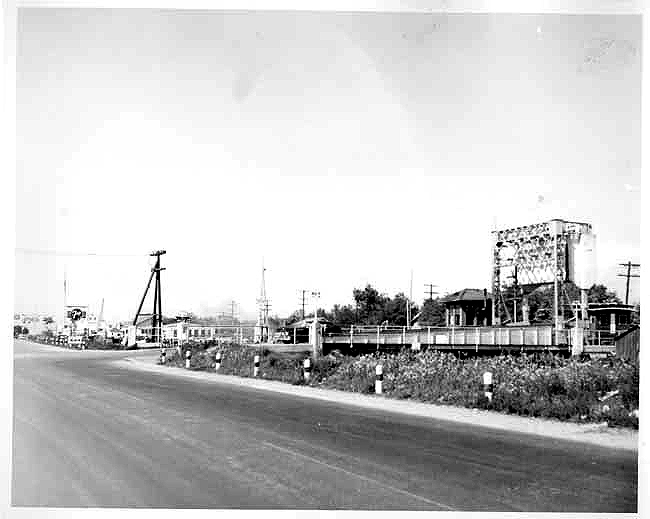 The late 1940s photo above shows the remains of the bridge's concrete piers and approaches. In that photo, the viewer is looking from the Lakeshore Drive bank of the New Basin, across the canal and into the yacht harbor. In the early 1950s the last of the bridge's remains were removed, and the mouth of the harbor was widened. The rare photo below is one of the only remaining photographs in which the entire bridge appears. 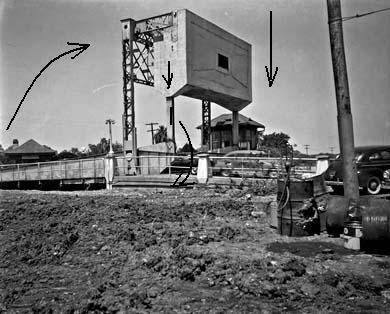 Photos indicating how the New Basin Canal bridges were constructed and how they operated. The bridges that crossed the New Basin Canal at various arteries throughout the city, were of a unique design that I have not seen used anywhere else in the area. I have had inquiries over the years as to how the bridges operated and what they looked like in various stages of their open and closed positions. The photo above should give the viewer an idea of how the bridge was constructed and how it traveled as it opened and closed. This animation was built in my studio from pictures borrowed from the LOUIS digital library historic collection. The restaurants of West End offered some of the best seafood available in the New Orleans area. 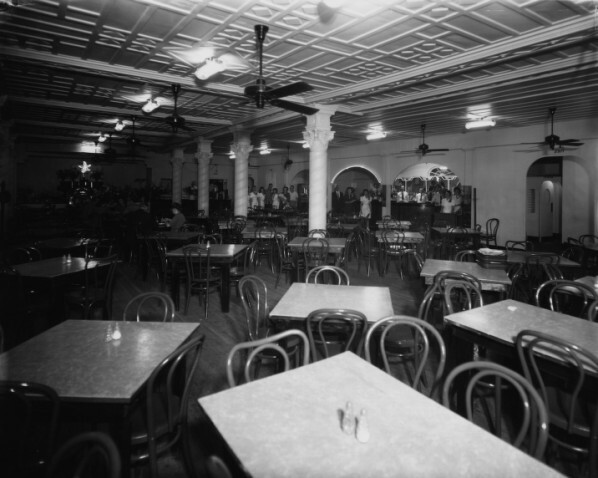 Beginning as early as the mid-1800s, with the arrival of Captain Bruning and his iconic Bruning's Seafood Restaurant, West End became synonymous with delicious seafood and New Orleans cuisine. Names like Fitzgerald's, Bruning's, Swanson's, Papa Rosselli's, Maggie and Smitty's Fontana's, and Kirsch's conjure many memories for seasoned New Orleanians who frequented these establishments. The aerial photograph below indicates the locations of the various restaurants that were known over the years. 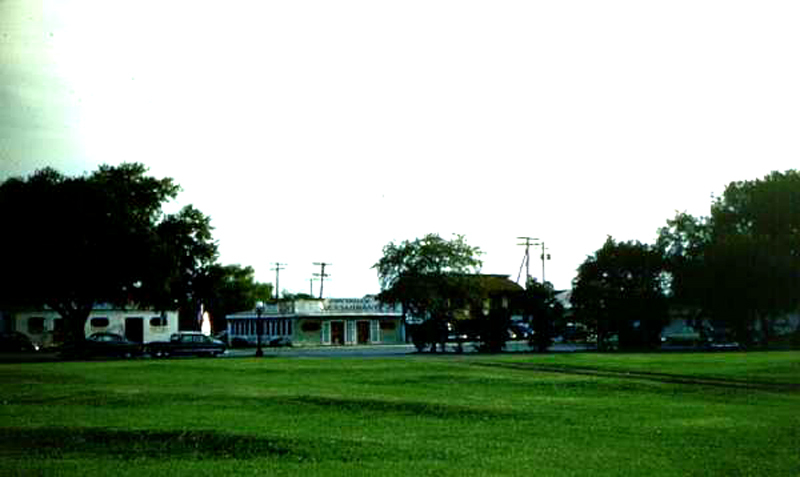 West End was directly adjacent to the east end of Jefferson Parish, so the over-water portions of those buildings along West End Park were actually in Jefferson Parish. 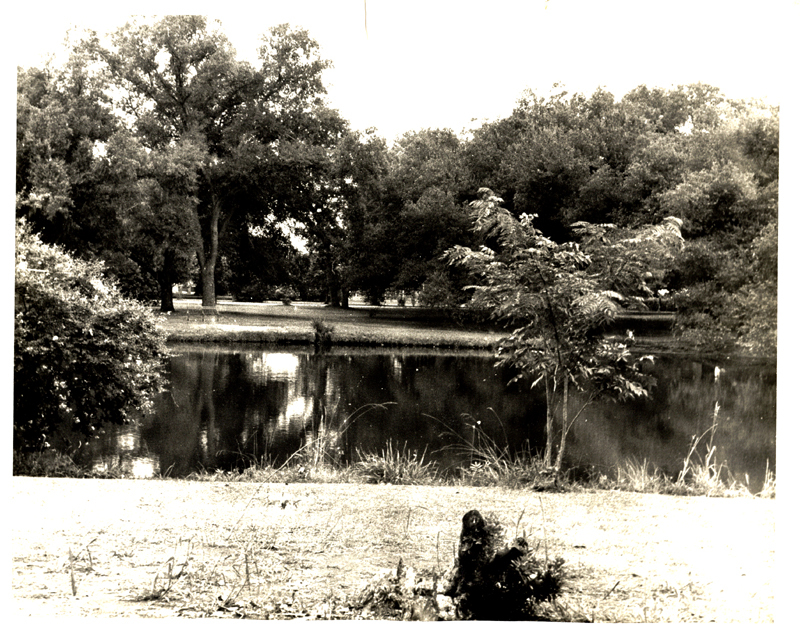 The area to the lower portion of the photo was known as Bucktown, a fishing village that bordered the lake and the 17th. Street Outfall Canal. One of the earliest restaurateurs to arrive at Alexander Milne's West End resort was Theodore Bruning. Opening in 1859, Bruning's Restaurant served world-famous seafood dishes, under the ownership of the same family, for 139 years. The family occupied a picturesque Victorian cottage that was just a few yards away, and which provided a picturesque view from the restaurant's dining room. The Bruning home, located just across the 17th Street Canal from the restaurant, was occupied by five generations of the same family. The picturesque home, so typically Louisiana, was also featured in the 1990s movie "The Big Easy"
The original Bruning's location. This building was damaged in Hurricane Georges in 1998. Sam Urate, Bruning's 5th generation owner, later reopened in the old Papa Rosselli location next door. 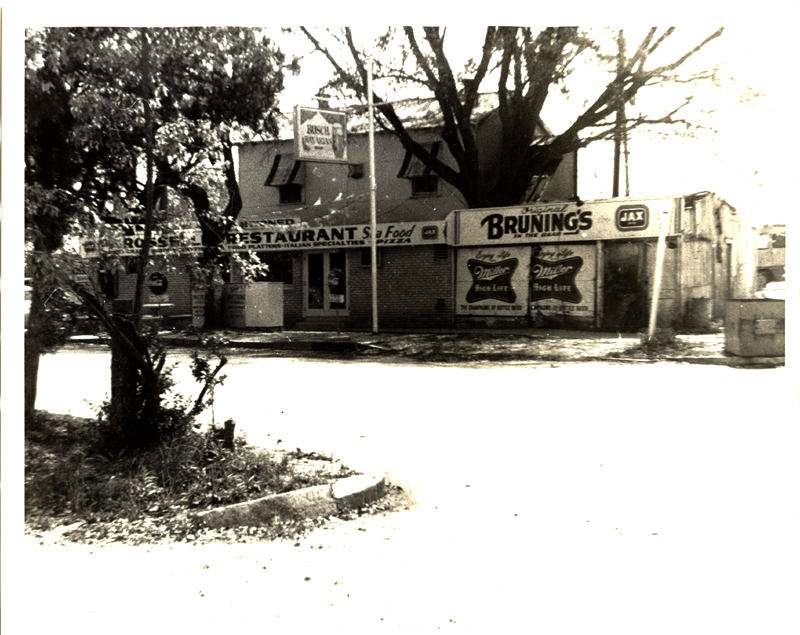 Bruning's Restaurant was the first seafood restaurant to open in the area behind West End Park. It was established in 1859. 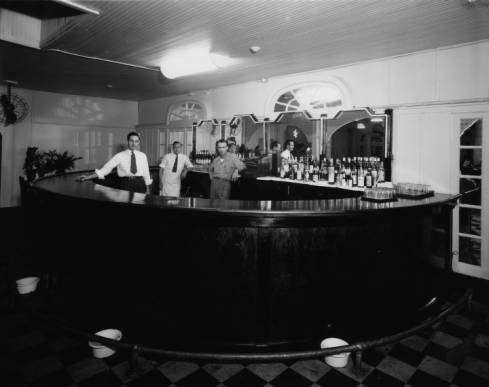 Early photo of the massive historic bar at Bruning's It was rescued and now resides in a food and beverage society museum in New Orleans. 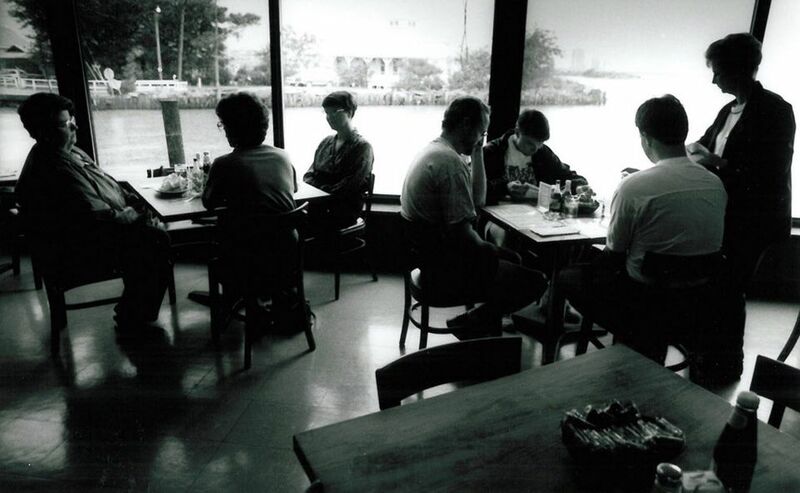 A 1960s view of diners in the original location Bruning's over-water dining room. Captain Bruning's Victorian cottage can be seen in the background. Next to Brunings was the location of Papa Rosselli's Restaurant which featured some of the best Italian dishes offered in New Orleans. Dominick Rosselli owned a restaurant in the French Quarter that opened in 1920. The West End location was established in 1961. 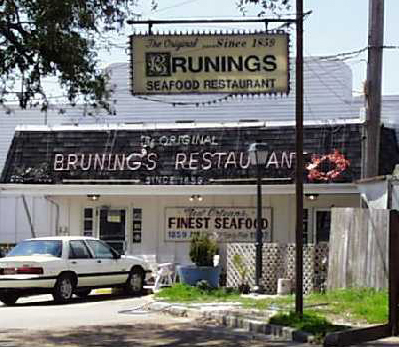 After the Rosselli family retired and closed the restaurant, Brunings moved into the building after the original Bruning's building was damaged in Hurricane Georges (1998). 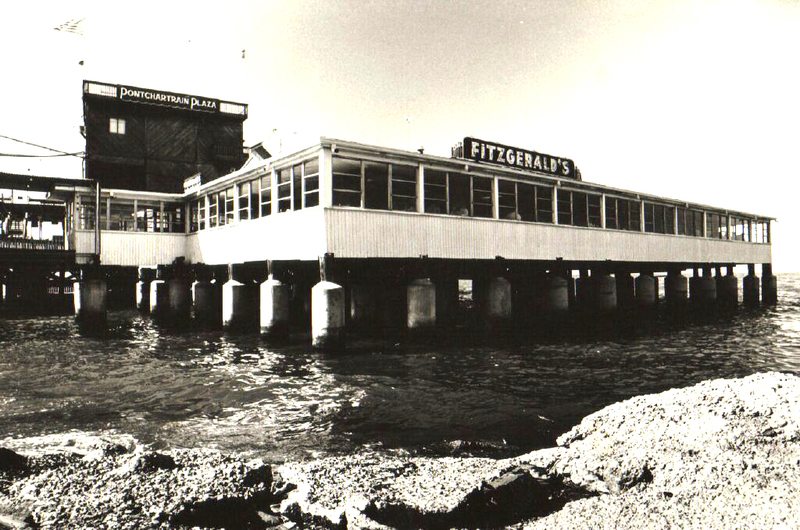 Aside from Bruning's, one of the most popular restaurants at West End was Fitzgerald's. (Photo from La. 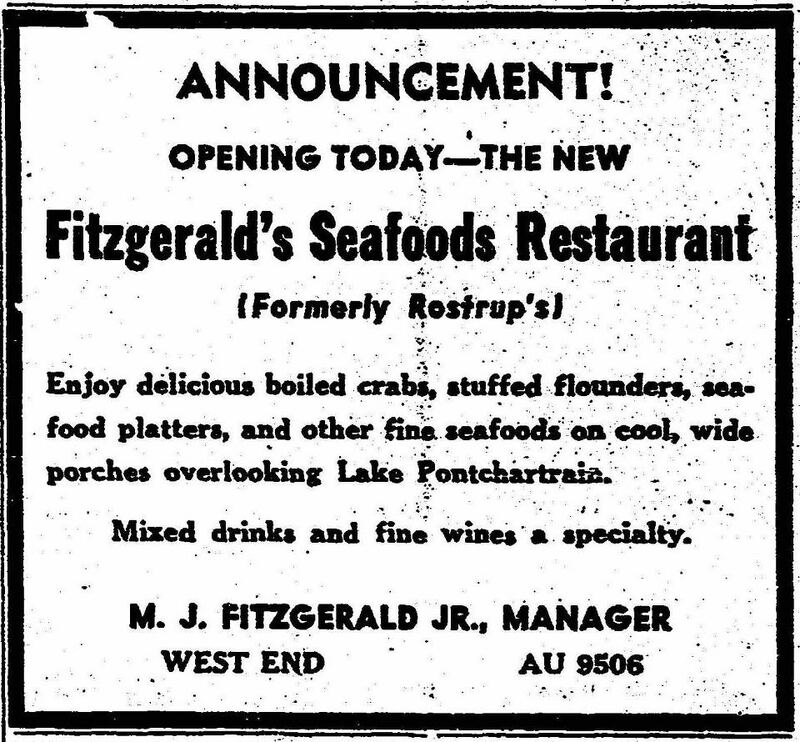 State Library collection) Fitzgerald's originally opened as Rostrup's (see ad below). The original building was destroyed. we believe in the 1947 hurricane, but it was rebuilt in the early 1950s as shown above. 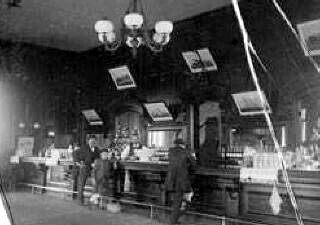 The photo above is an historic view of the original Fitzgerald's dining room. 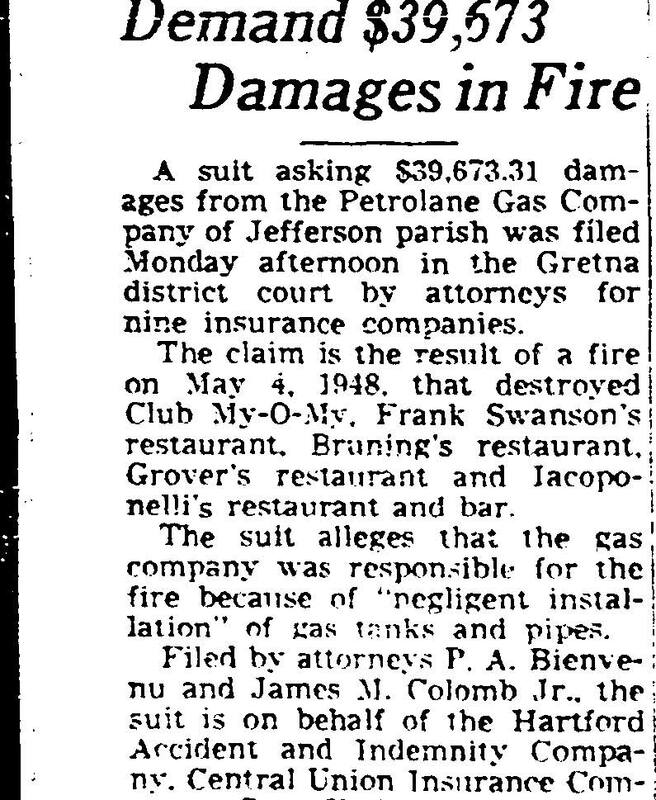 Of a much larger scale than the 1950 building, it was destroyed in 1947. 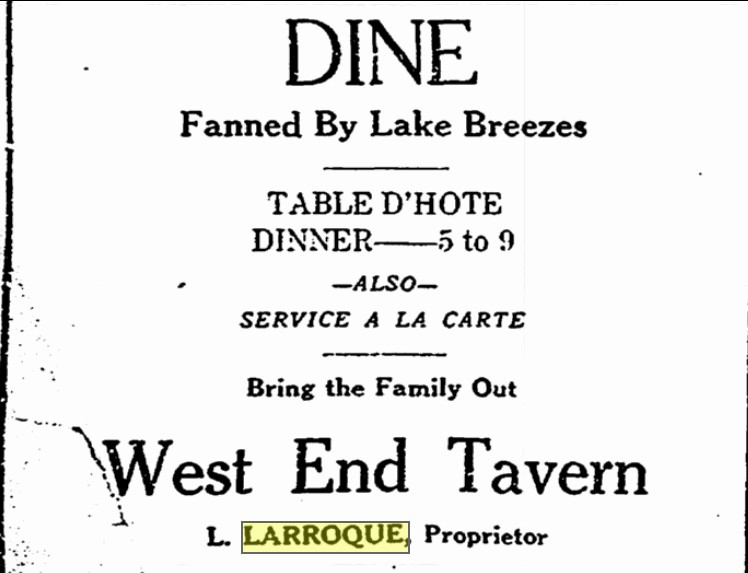 Another popular dining establishment was the West End Tavern. 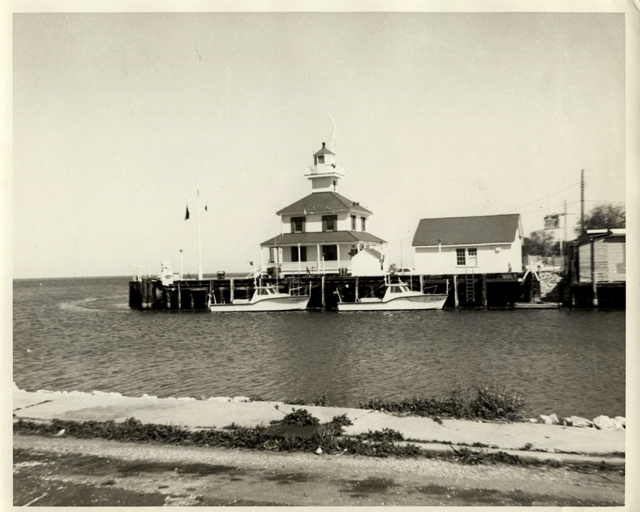 Operated for a time by Mr. and Mrs. Louis Larroque of New Orleans, the restaurant and bar was located at the corner of Pontchartrain Boulevard and what is now Lake Marina Avenue. From information available, this business started in the 1930s, and underwent many legal problems and several changes in management. 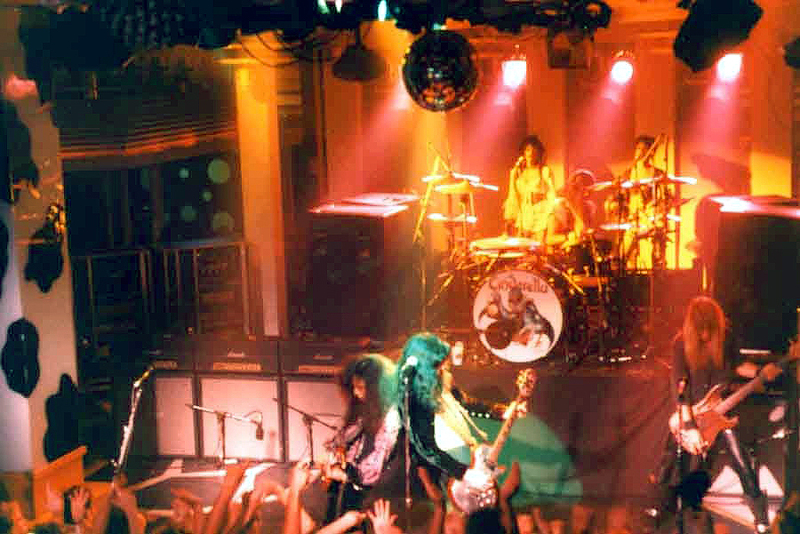 Their advertising from the era indicated that they featured live bands during the late 30s. Although on dry land, on the opposite side of the road leading to Bucktown, was Swanson's Seafood Restaurant. 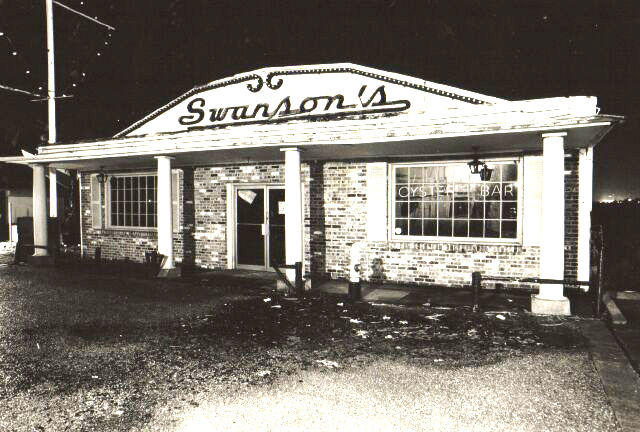 Established in the 1940s, and operating until 1980, Swanson also served up popular Lake Pontchartrain seafood dishes. 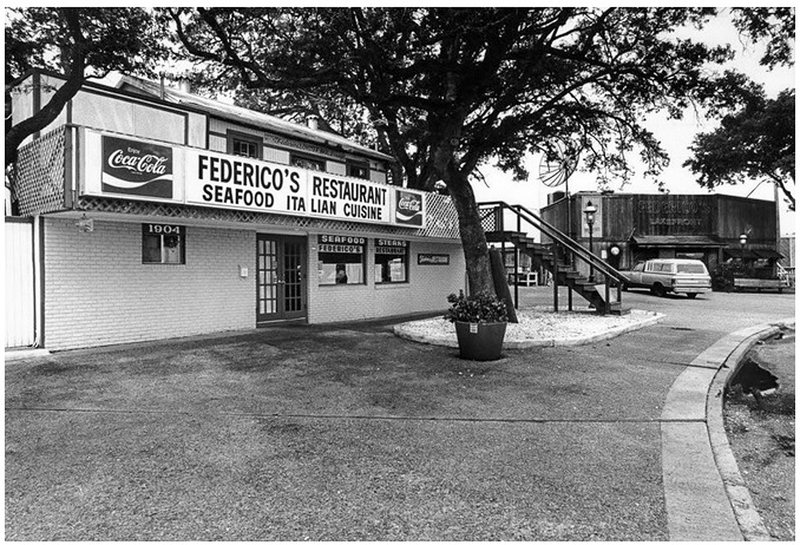 A view, photographed from West End Park, shows the entrances of Swanson's and Federico's seafood restaurants. Over the years, restaurants came and went from the West End landscape, but a few of the old favorites persevered despite hurricanes, fires and economic changes. 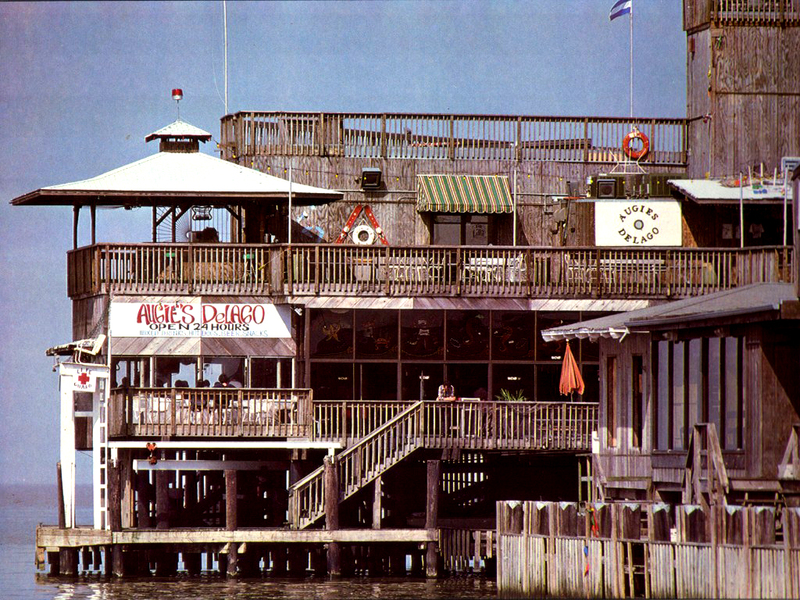 Some of the later restaurant offerings included The Dock, Yaeger's, The Bounty, The Pontchartrain Surf Club and others. In 2005, Hurricane Katrina completely destroyed all of those businesses that were over water at the western end of the park. 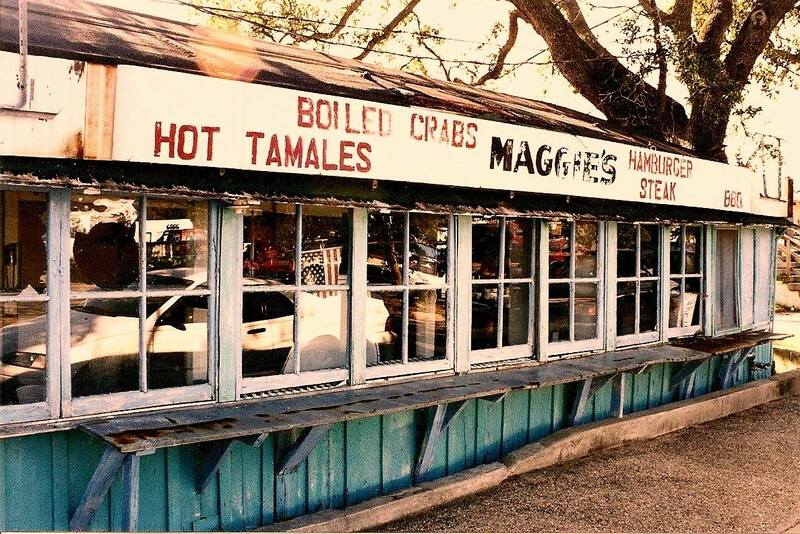 Maggie and Smitty's roadside seafood was an outdoor stand, at the water's edge, that featured both sheltered outdoor dining tables, as well as take-out service. Founded in 1956 by Maggie Hemard, along with her sister Elaine (Smitty) and brother Lloyd, the restaurant was a West End favorite until it closed in 1993. Sid Mar's, just over the bridge in Bucktorn, was also a popular spot. 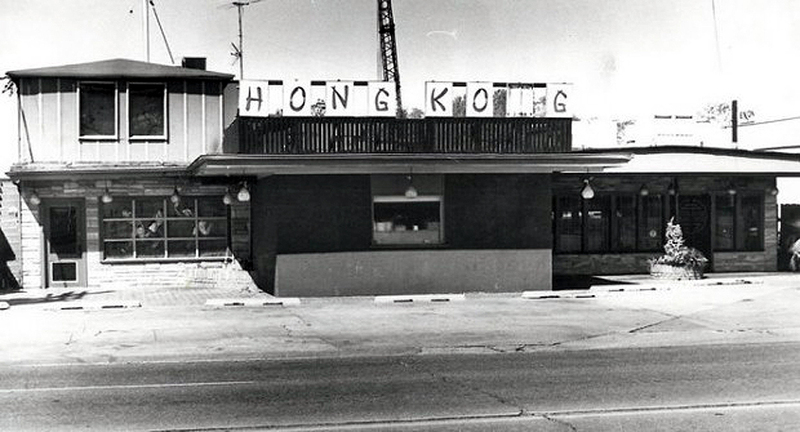 Located on Lakeshore Drive, just across the New Basin Canal from West End proper, was the Hong Kong, known for fine dining and Chinese cuisine. Augie's Delago, operated by August Werner was one of the later additions on West End Park. It featured both restaurant and supper club type atmosphere. The Club My-O-My featured female impersonators performing in a Las Vegas style review. 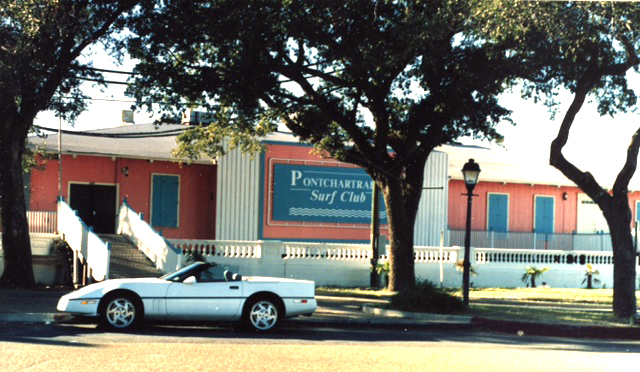 Originally a fixture in the New Orleans French Quarter, the club was forced to move to Jefferson Parish because of laws governing such activities in New Orleans proper. 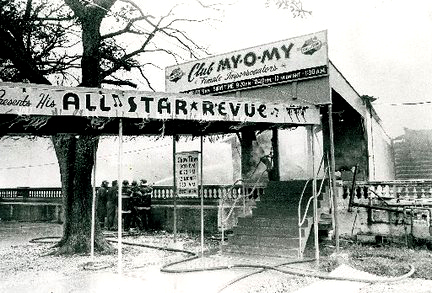 The club operated at the lakefront from 1940 until 1972 when the building was finally destroyed in a famous over-night fire. 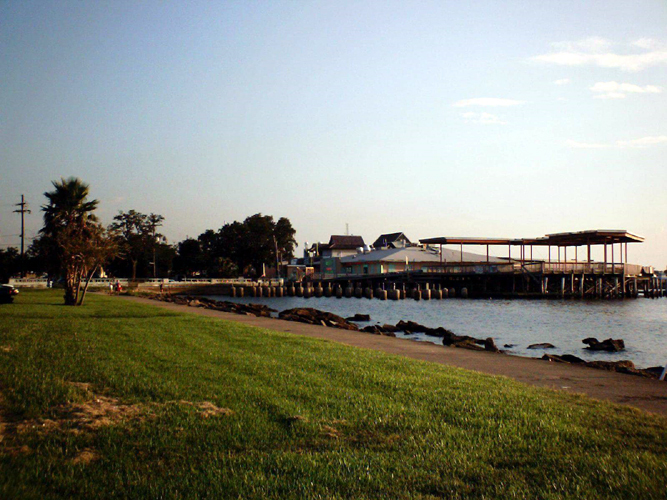 It had previously been damaged by hurricanes and by a May 1948 fire that damaged most of the restaurants and clubs along the Jefferson Parish end of West End Park. The final chapter of the My-O-My's West End location occurred on the night of January 4th, 1972 when fire leveled not only that building, but also Kirsch's Restaurant, which was located to the right between the My-O-My building and Fitzgerald's Restaurant. Neither Fitzgerald's or Maggie and Smitty's was damaged although the fate of Fitzgerald's building was in question for a time. Photos above and below courtesy of Mr. Frank A. Gagliano. 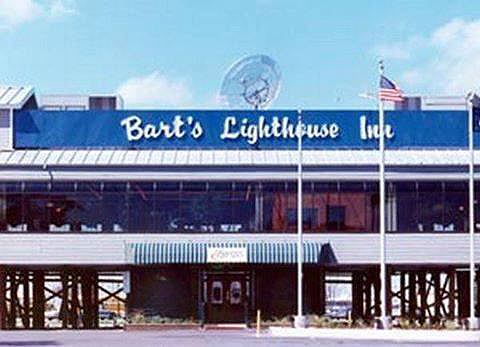 In the bend of Lakeshore Drive, next to the historic West End Light, Bart's Lighthouse Inn was a popular New Orleans hangout for many years. After the building was damaged in one of the hurricanes, it was rebuilt and acquired as a Joe's Crab Shack location. Following Katrina's damage, it again reopened by the Landry Family of Lafayette as Landry's Restaurant. This photograph, submitted by site visitor Craig Stearns, is one of the last photo memories of the bustling West End restaurant and nightspot area. 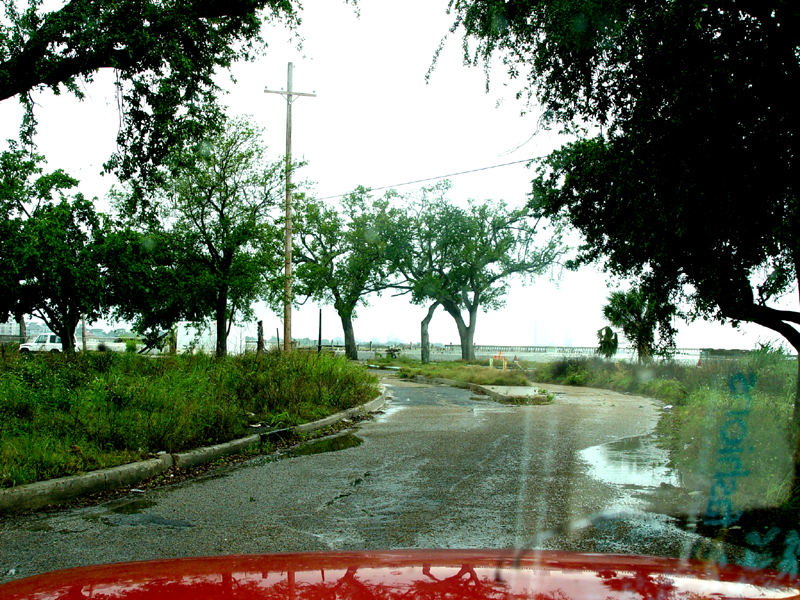 The photo was shot in August of 2005, just days before the entire area was leveled by Hurricane Katrina. Because of the financial beating taken by the insurers and owners of these businesses, we will probably never again see over-water development in this area of New Orleans. All that was left of the West End restaurant area after Hurricane Katrina. From the late 1800s until the occurrence of Hurricane Katrina, this area hosted some of New Orleans' best and most famous seafood and entertainment establishments. 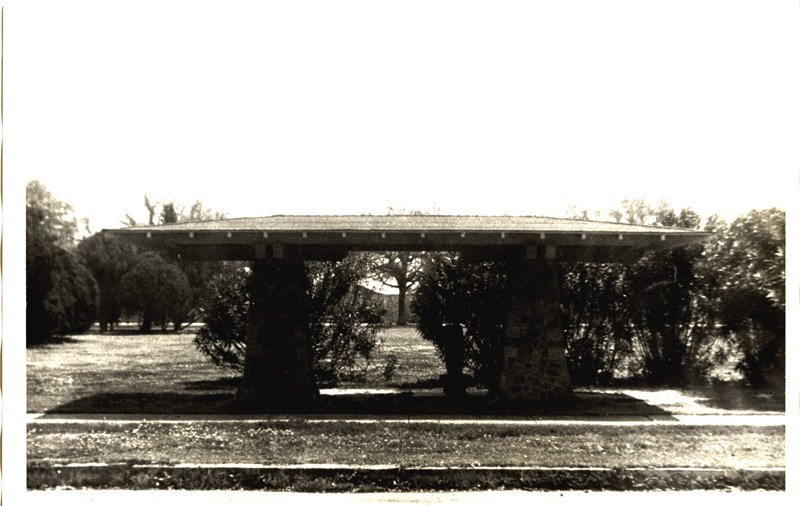 The WPA constructed bridge over the West End Park Lagoon as seen in 1970. In 1979, the lagoon was enlarged, and an earthen Ampitheatre was constructed on the land to the west of the lagoon. Below as the lagoon as it appeared in 2011. 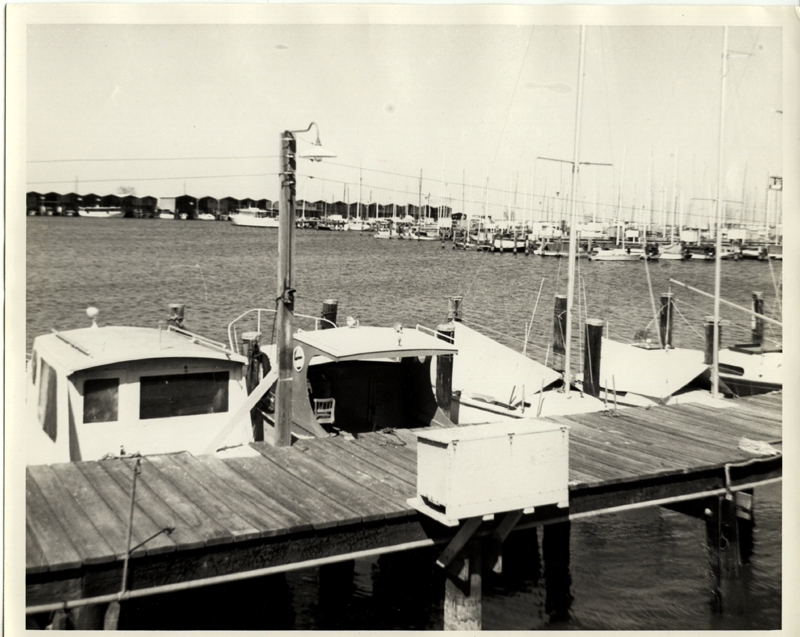 West End Park and surrounding West End Marina boat houses as they appeared in 1968. Note the classic cast iron light standard. This same design of street illumination was used throughout New Orleans neighborhoods from the 1930's until they were rendered obsolete by modern high-intensity lighting in the early 1960s. 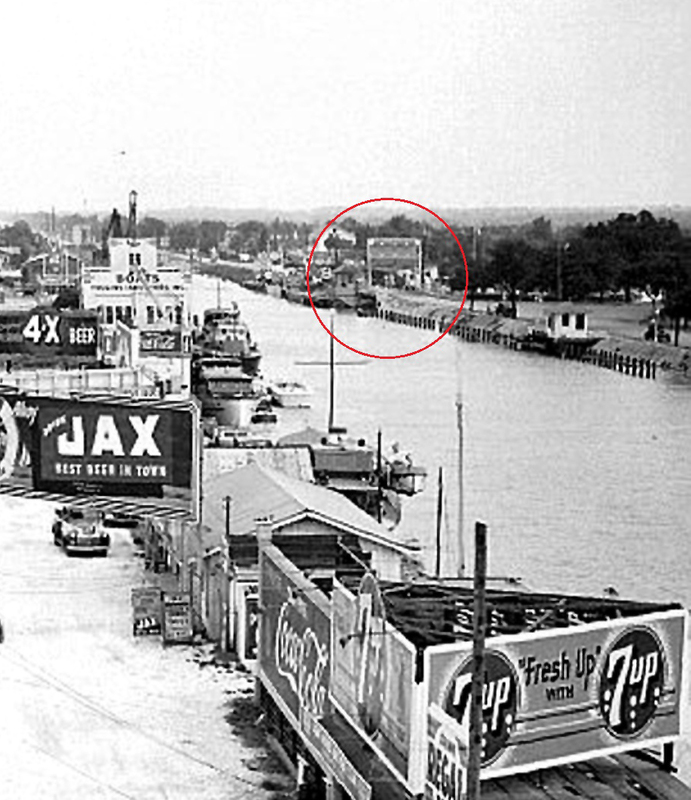 The original wooden bridge from West End (beside Bruning's Restaurant) to the Bucktown area in Jefferson Parish. The bridge was removed in the 1980s and replaced with bridge for foot and bicycle traffic only. Today, this entire area has been ravaged by Katrina, and it now is occupied by the huge Corps Of Engineers drainage plant. 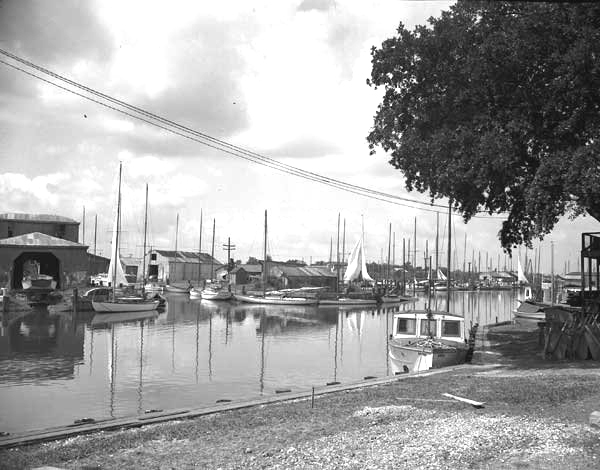 Because of the proximity to the Orleans and New Orleans Marinas, and the Southern Yacht Club, businesses along the New Basin Canal were geared primarily to boat and yacht sales and services. One of the major players in the yacht sales industry was Leo Walet's sales facility. The author of this site learned to sail through courses offered by Walet's Yacht Sales shown in the photo. 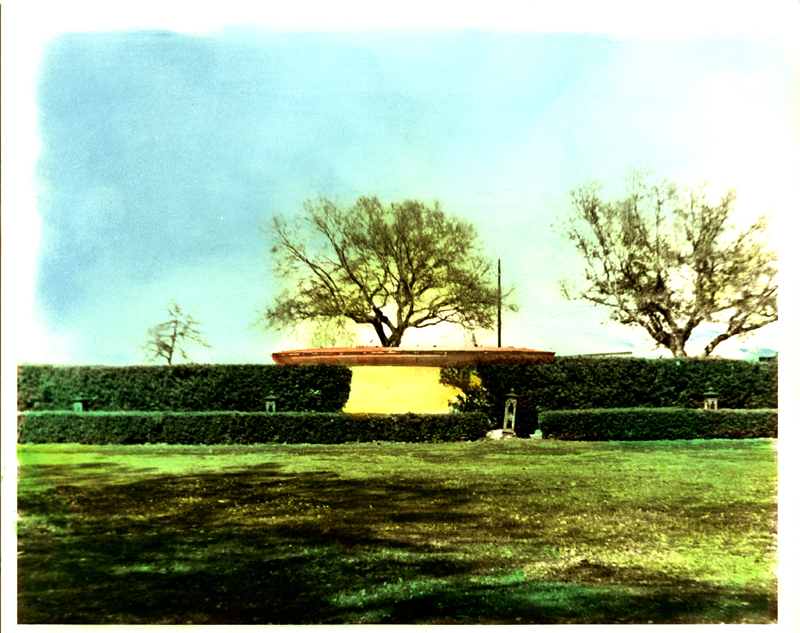 The West End Park Fountain prior to 1979 renovation. This fountain was a hand-operated 100 horsepower fountain that was operated on Sunday and Wednesday nights, weather permitting, by employees of the City. Originally designed for remote control operation from a detached control structure, the water and lighting patterns would be modulated to music provided by live bands which played in the park. After many years of operation, the city allowed the controls to fail from lack of maintenance and the fountain was then hand operated by attendants working in the pump room, which was located in the center structure shown above. Eventually, the fountain failed completely and was abandoned and ultimately turned into a planter. 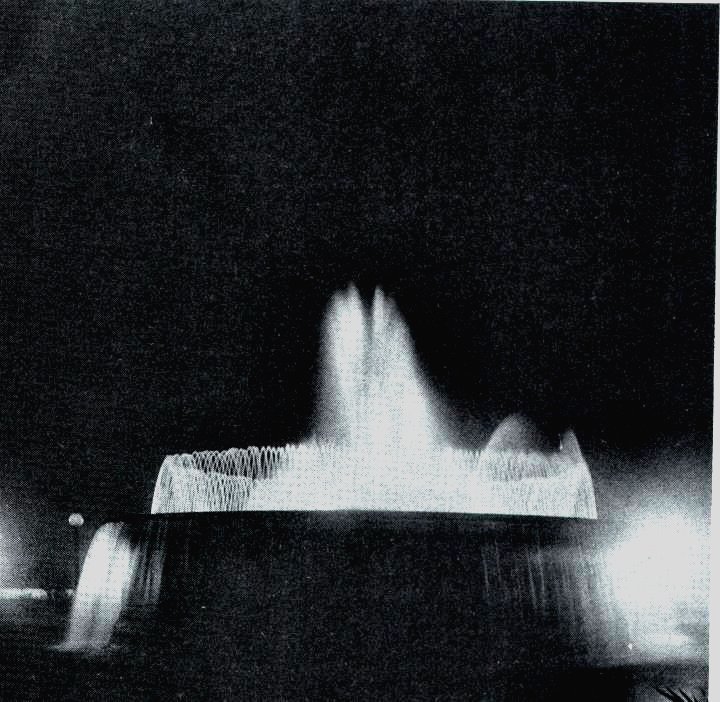 Below is a night-time view of the fountain in operation from about 1949. The photo below is from the Louisiana Division/City Archives New Orleans Public Library. 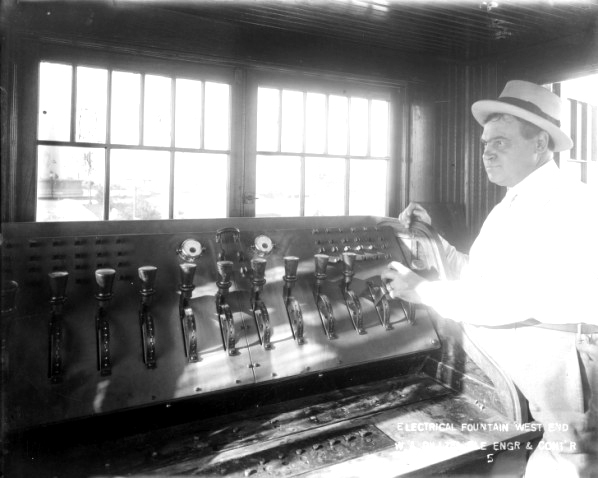 This photo from the Louisiana State LOUIS digital photograph collection, shows the remote control room that originally was part of the West End Fountain. The fountain operator was able to control the water and light patterns from the hut which was installed in the park, several feet away from the fountain's spray. Eventually the hydraulic control system failed, and the hut was abandoned and removed. The fountain was then operated by hand from down in the pump room under the water jets, by members of the City Electrician's staff. In the early 1950s the fountain's main underground electrical feeder cable failed, and the fountain ceased to operate. 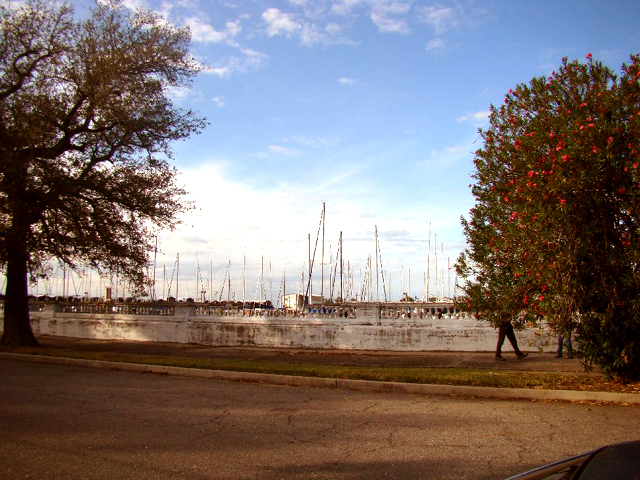 The Southern Yacht Club, second oldest yacht club in the nation, has been a fixture at West End from almost the inception. Over the course of history, the club's stately buildings have been visible above all other landmarks on the peninsula at the end of Lake Shore Drive. While the club was organized in 1840s on the Gulf Coast, New Orleans became the official headquarters in 1857. The first club house was built in 1879, and it was replaced in 1899 by a new and grander facility. That facility (pictured below) was enlarged in the 1920s. That same facility served the club through the late 1940s, and it was used by the military during World War II as well. Shortly after the War ended, the then termite damaged building was torn down, and a new modern concrete building was built. 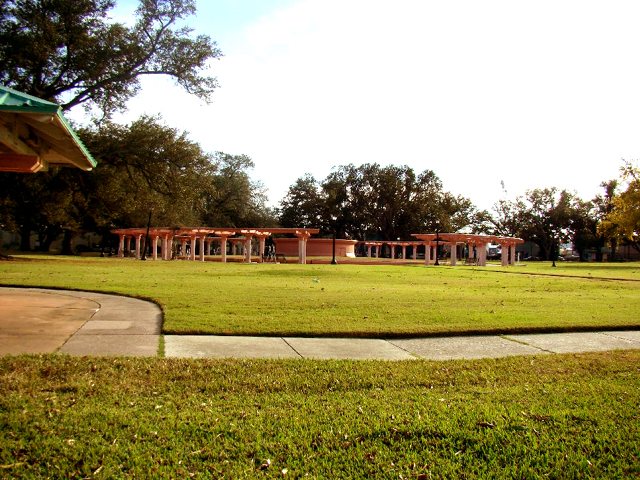 The 1949 building served the organization until it was destroyed by Hurricane Katrina. In the years immediately following Katrina, another new building (shown below) was designed and built. View of the New Basin Canal in the area just outside of West End going toward City Park Avenue and Metairie Road. This photo is from the files of my late uncle, William J. Bogan, who shot the photo in 1938. The original photo is now housed in the Historic Louisiana Photography Collection of the LOUIS Digital Library. The lighthouse and Joe's Crab Shack Restaurant in the background. This photo was taken just months before Hurricane Katrina destroyed the area. Joe's was one of my favorite eateries. A NOTE FROM THE CREATOR OF THIS SITE: I am continuing to seek photographs of West End which I can use on this site to supplement those which are in my private collection. I would especially like to obtain copies and permission to publish photos of the insides of the various restaurants from the 1940s - 1970s, as well as exterior or interior photos of any of the buildings or fixtures from the area. Please contact: jdemajo(at)demajo.net (substitute @ for the word "at") if you have any photos to share. For many years, I have searched for photos of this great part of New Orleans history, so I am counting on you, the viewers of the site, who share my love for this unique part of our New Orleans past, to help me continue to build and improve the site. This site is dedicated to my late parents, John R. and Edith B. DeMajo. Throughout their lives, West End was one of their favorite places to spend leisure time. Many thanks also to my daughter, Kathleen DeMajo Adams, who was able to return to New Orleans to capture the post-Katrina photographs shown on this site.